Exclusively Ours! Lead & Nickel Free!! 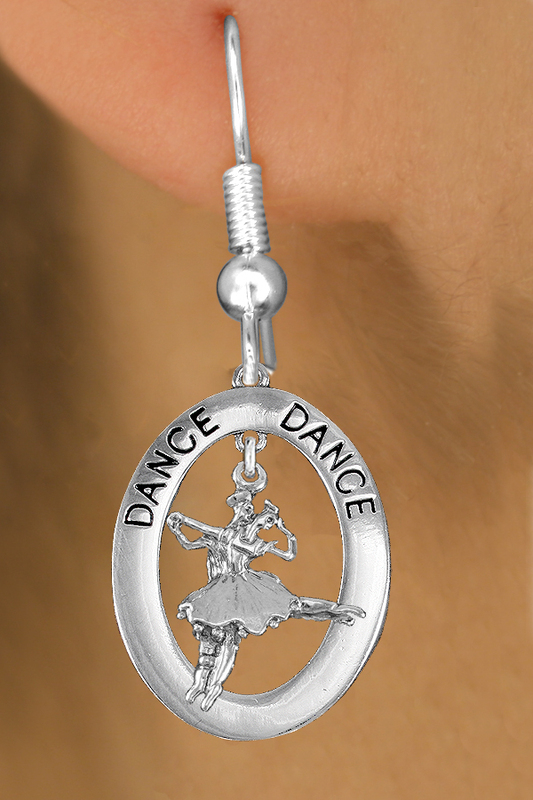 Antiqued Silver Tone "DANCE" Open Oval Charm Holds Detailed Silver Tone Ballet Couple Charm, And Comes On Silver Tone Fishhook Earrings. 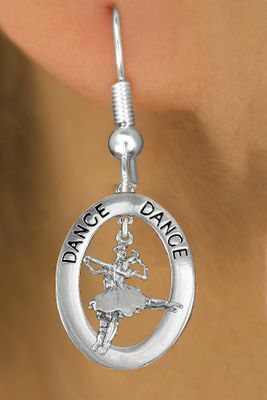 Oval Charm Measures: 1"w x 1 3/8"h. Ballet Charm Measures: 3/4"h x 1/2"w.